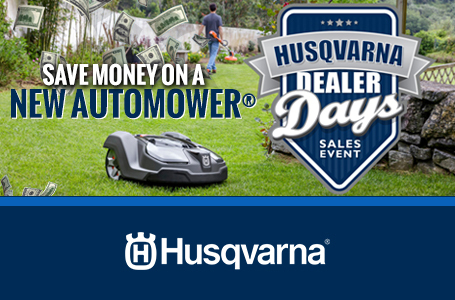 Automower® Connect@HOME: The Bluetooth® solution, Automower® Connect@HOME, gives you full control of the mower right in your smartphone. 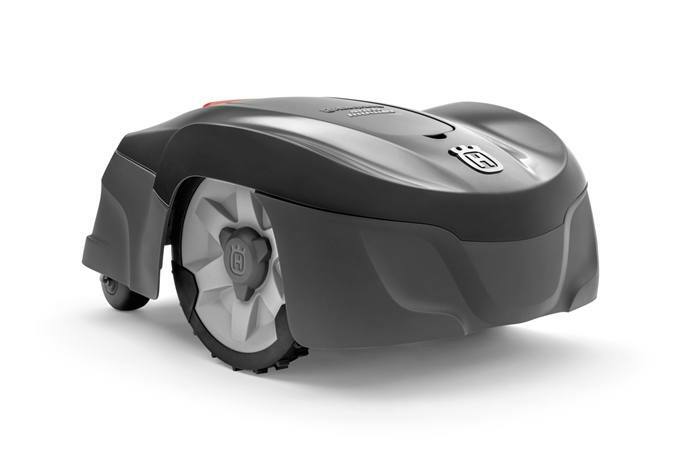 You can easily send start, stop and park commands, check and adjust the settings. Bluetooth® communication up to 30 meters range. Standard for all 300-400 series. 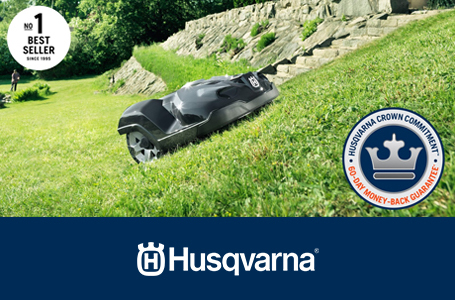 Guided passage handling: Husqvarna Automower® automatically senses narrow passages and lets the mower follow the guide wire even through the smallest passages. 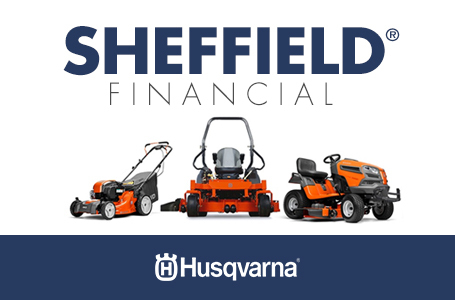 Manages slopes up to 30%: Large coarse-tread wheels provide excellent traction even if the surface is slippery. 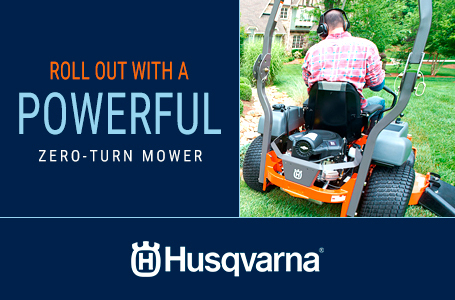 The mower handles slopes up to 30%.